Site-specific works can often be the most exciting and inspirational forms of art in the modern age, using the environment to create playful and imaginative pieces that tickle your quirky side. Cornelia Baltes’ latest exhibition Turner is using Sunderland’s City Library and art space to present a range of paintings and murals that use the architecture of the building as a canvas. Baltes plays with the boundaries of paintings, choosing to go beyond the borders of the traditional artwork and instead spilling into the walls and floors of her world. Turner aims to use the multi-use public space as a gigantic, open canvas that wittily uses iconography and colour to bring a new lease of life to the corridors and rooms of the space. If you’re sceptical about the power of site-specific works then Baltes’ work is set to change your mind. 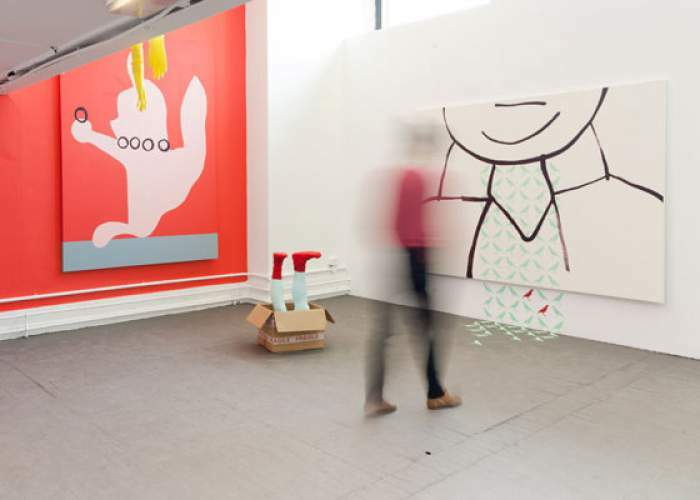 Cornelia Baltes brings Turner to NGCA, Sunderland on Friday 5th June until Saturday 18th July.